BEIJING — Rafael Nadal needed to save two match points before advancing to the second round at the China Open. The top-ranked Spaniard, playing for the first time since winning the U.S. Open title last month, rallied to beat Lucas Pouille 4-6, 7-6 (6), 7-5 Tuesday. 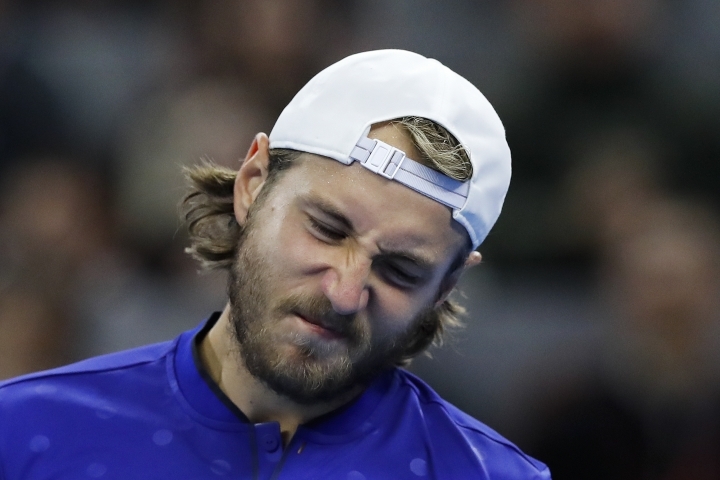 Pouille held two match points while leading 6-4 in the second-set tiebreaker. But Nadal reeled off four straight points to take the set and turn the match around. "Was a very tough first round, as I say the other day," said Nadal, who lost to Pouille in five sets at the 2016 U.S. Open. "He played well, I think. Very aggressive. He's serving well. For me was little bit difficult at the beginning. Then I started to play better, I think. "But still, I didn't have the control of the match for almost all the time." In the final set, Nadal broke Pouille's serve to take a 6-5 lead and then served out the match. Nadal is 57-9 this season and leads the tour with five ATP singles titles, including the French Open. He won the China Open title as a teenager in 2005 and has a 21-5 record in Beijing. He next plays Thursday against Karen Khachanov, who beat Chinese wild-card entry Wu Di. Earlier, Juan Martin del Potro advanced by beating Pablo Cuevas 7-6 (4), 6-4. "It was enough to win. I play good in important moments of the match, that's the tiebreaks and the last game of the second set," said the 2009 U.S. Open champion, who returned to professional tennis last year after wrist surgery. Third-seeded Grigor Dimitrov, sixth-seeded John Isner, eighth-seeded Nick Kyrgios and Leonardo Mayer also advanced. 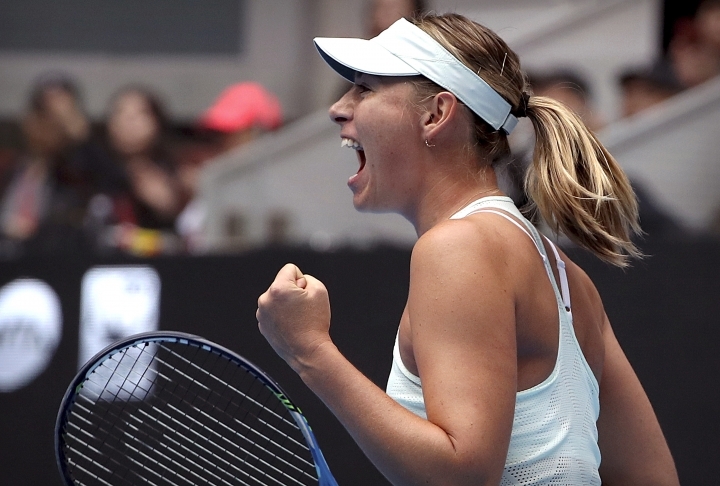 In the women's tournament, Maria Sharapova rallied to defeat Ekaterina Makarova 6-4, 4-6, 6-1. "She definitely picked it up in the second. But I felt like although she won that second set, I was really motivated to start the third," Sharapova said. "I was questioning how I would feel physically, but I felt really good going into the third set." The former top-ranked Russian will next face second-seeded Simona Halep on Wednesday. "We know each other's games very well. That's no secret. They've always been very challenging, tough, competitive, emotional," Sharapova said. "Any time you're able to face an opponent that's done something and well, it's great to see where you are and where your level is." Halep advanced after Magdalena Rybarikova retired from their match while trailing 6-1, 2-1. Other winners include Karolina Pliskova, Elena Vesnina, Petra Kvitova, Daria Gavrilova, Sorana Cirstea, Darla Kasatkina and Barbora Strycova.